Today, we have a real treat for our readers as Intel sent over a system powered by the mighty Intel Xeon W-3175X 28-core, 56-thread processor for us to try out. Intel has had a 28-core Skylake-SP processor on the market since 2017, but not like this one. Intel wanted to push the clocks to the max and starting binning chips some time ago and the very best chips have become 3175X processors. The Intel Xeon Platinum 8180 28-core processor 28-core, 56-thread processor came out in July 2017 for a cool $13,000 and featured a base clock of 2.5GHz and max Turbo frequency of 3.8GHz. 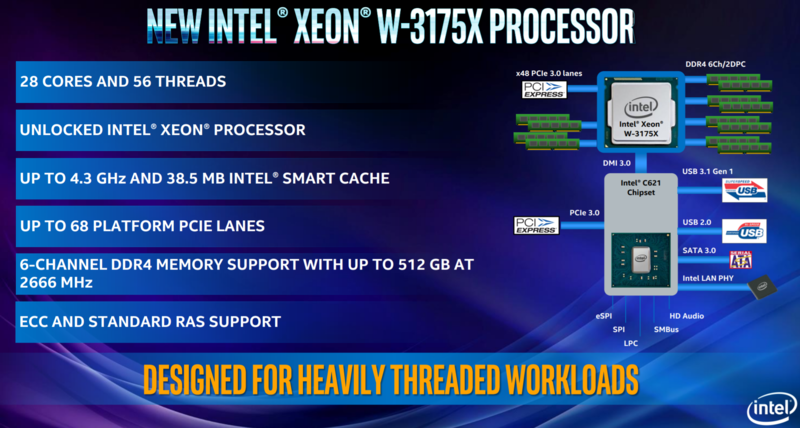 The new cherry picked Intel Xeon W-3175X has the same 28-core, 56-thread core count, but a much higher base clock of 3.1GHz and max single-core turbo frequency of 4.3GHz. That extra clock frequency has pushed up the TDP from 205 Watts to 255 Watts. A small price to pay for Intel to roll out a processor that just happens to be clocked 100MHz higher than the flagship AMD Ryzen Treadripper 2990WX 32-core, 64-thread processor. The best part of it all is that the 3175X is priced super aggressive with 1,000 unit tray pricing being just $2,999. The bad news for our readers is that this model will only be available in pre-configured systems from System Integrator (SIs) like Maingear, BOXX, CyberPowerPC and others. 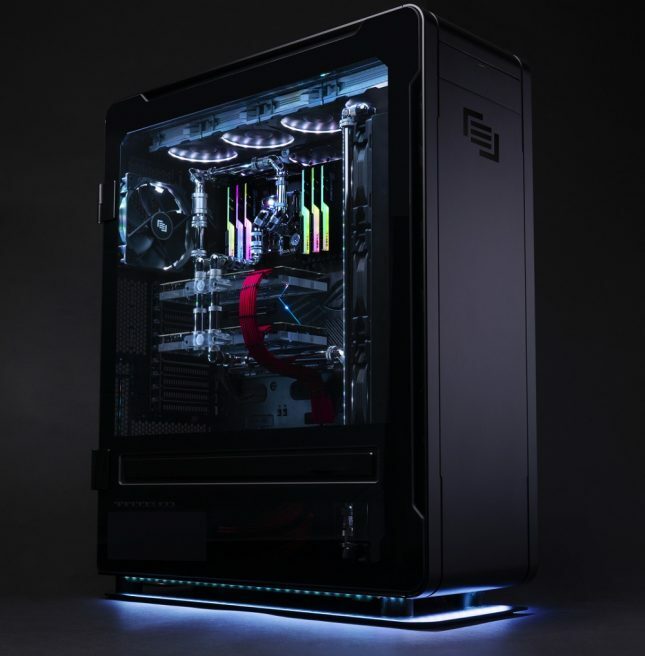 Only MAINGEAR was able to provide any pricing details to Legit Reviews and we discovered that they will be offering the Intel Xeon W-3175X in their top of the line, hand-crafted hardline cooling system called the RUSH ULTIMUS desktop and that the system pricing will start at $14,899. The 3175X is fully unlocked for overclocking fun although Intel didn’t solder the Integrated Heat Spreader (IHS) down on this model. 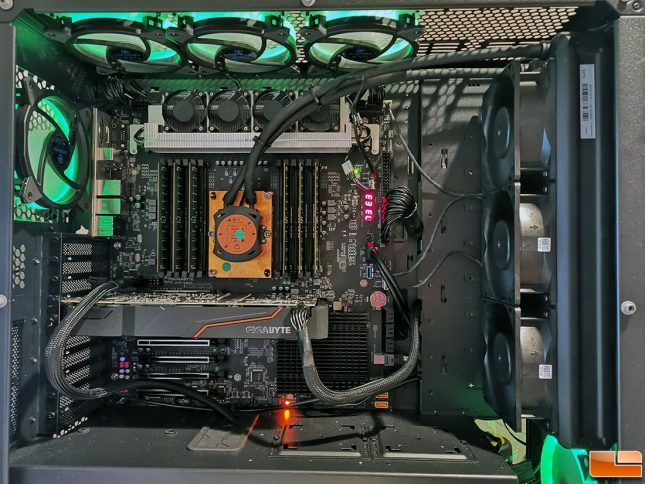 Other features to highlight are the 38.5 MB Intel Smart Cache, 6-channel DDR4 memory support with up to 512 GB at 2666 MHz, and ECC and standard RAS support. This platform was designed for highly threaded and computing-intensive applications such as architectural and industrial design and professional content creation. Two motherboard makers have teamed up with Intel to create motherboards for this new breed of workstation processors and those two companies would be ASUS and Gigabyte. The two boards would be the ASUS ROG Dominus Extreme and Gigabyte A1X-C621. 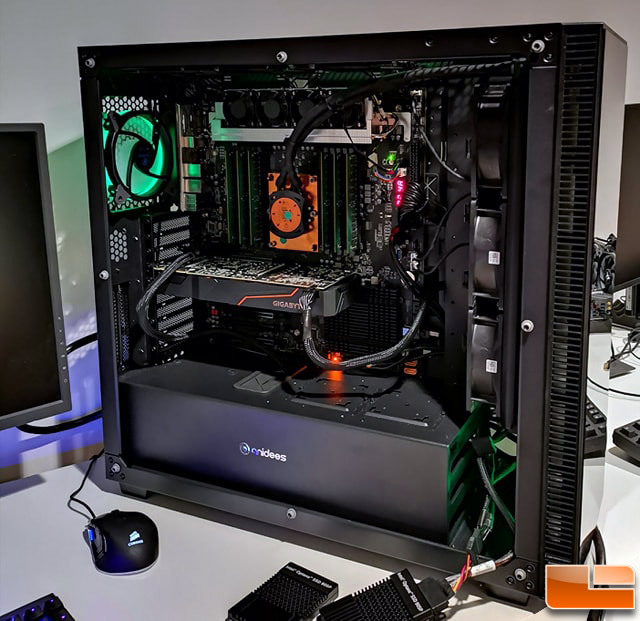 Both use the Intel ‘Lewisburg’ C612 chipset with the LGA3647 socket and neither company was able to provide any pricing guidance. Some of the SIs that we talked with said that boards will likely be in the $1500 price range. The board that is in the system Legit Reviews will be using is the Gigabyte A1X-C621. 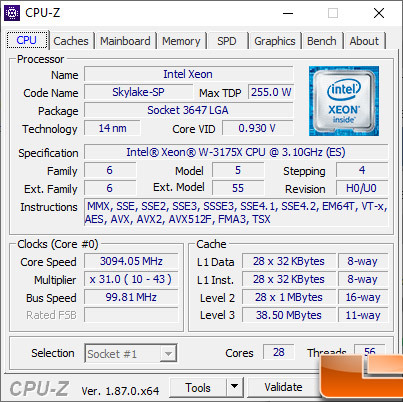 Here is a quick look at what CPU-Z reads on the Intel Xeon W-3175X processor. Let’s look at the other test systems and then take a look at the benchmark results!